I got a Carolina Reaper plant for christmas that was purchased from a local grower. Some of the fruit was already ripe so this afternoon I went out to harvest them and many of the ripened ones had blackness on various parts of the fruit. Is this because it had already ripened and is now dying? Or is it a fungus, disease, rot, something else? I'm attaching a couple of pictures. Also, is there a problem with p3.jpg? It *appears* to just be a spider web growing on it but just want to make sure it's not something else. Do spider webs typically grow in the crevices of the fruit? Edited by Nick4978, 30 December 2018 - 05:40 PM. 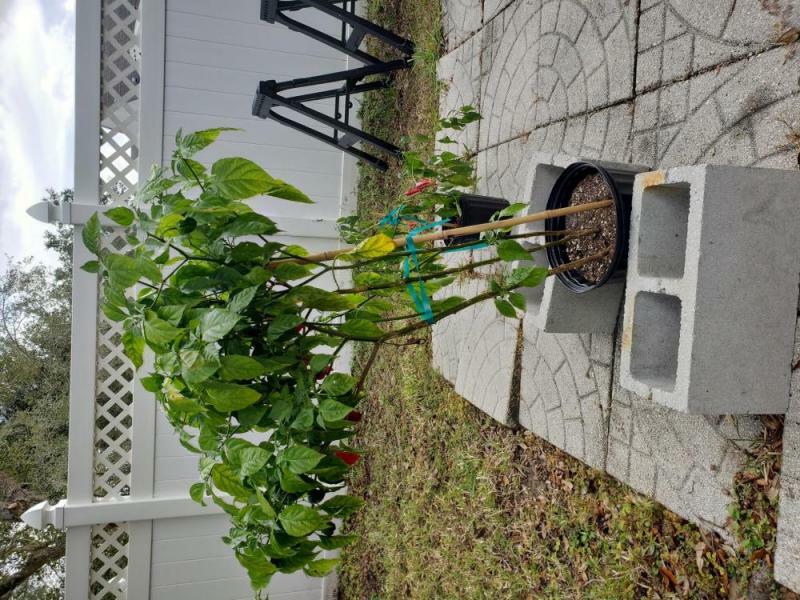 Well pepper certainly are not my expertise and I am also abit color blind so take what I say with a grain of salt perhaps but looks liek some rot to me. I am sure some of the folks here would have a much better answer then me. Far as the web goes...well maybe some spider mites?? Most times a spider will build a web in places that have a decent chance of catchign insects to eat...not sure that is a good spot but I am never surprised theses days and just giving you my shot in the dark comments. I do hope you get it all sorted out though Nick and a pretty cool gift for X-mas I must say. I've found a lot of spider webs in the crevices of the peppers I've ordered. I just clear them with a toothpick. 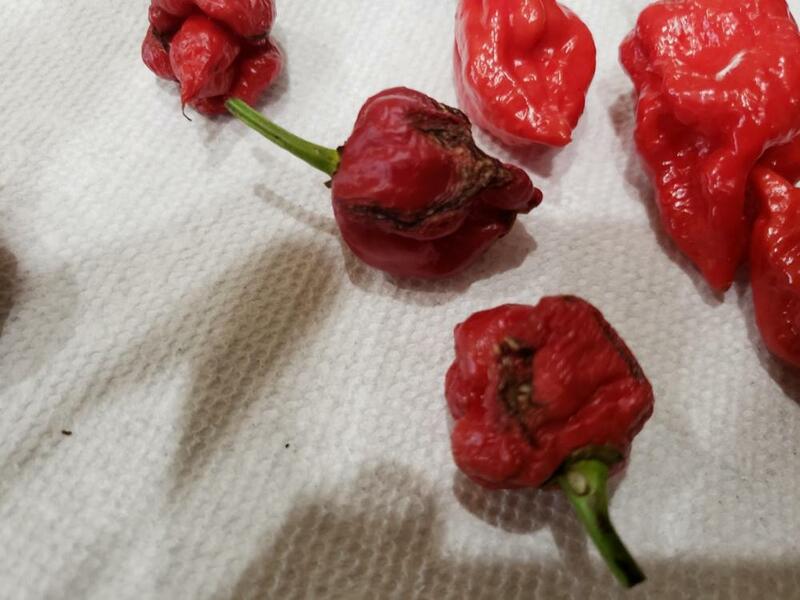 i`ve never grown carolina reapers but i`ve had various pods get black spots for no apparent reason and i just toss them. 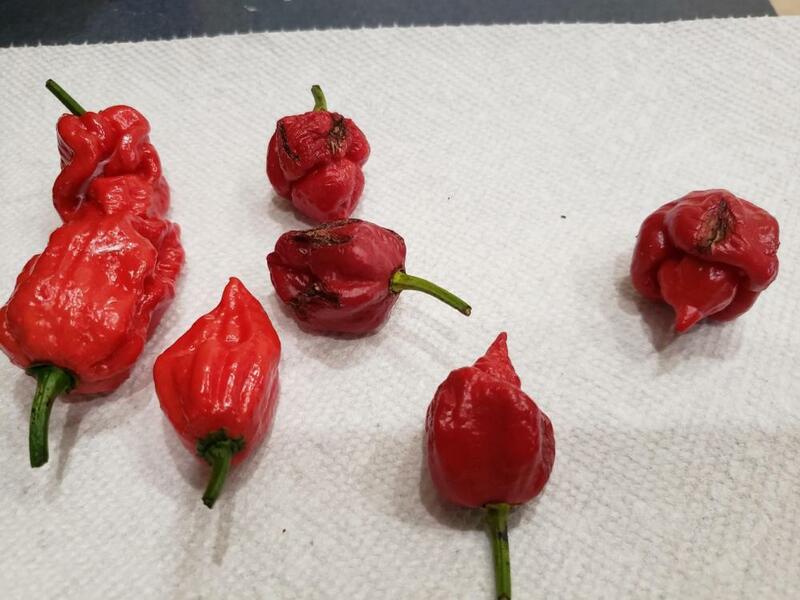 i figured if i got 20, 30, sometimes even 40 or 50 pods off of a plant and a couple here and there get black spots i don`t sweat it, i just toss them. but in your case you said you just got this plant and it already had ripe pods on it. 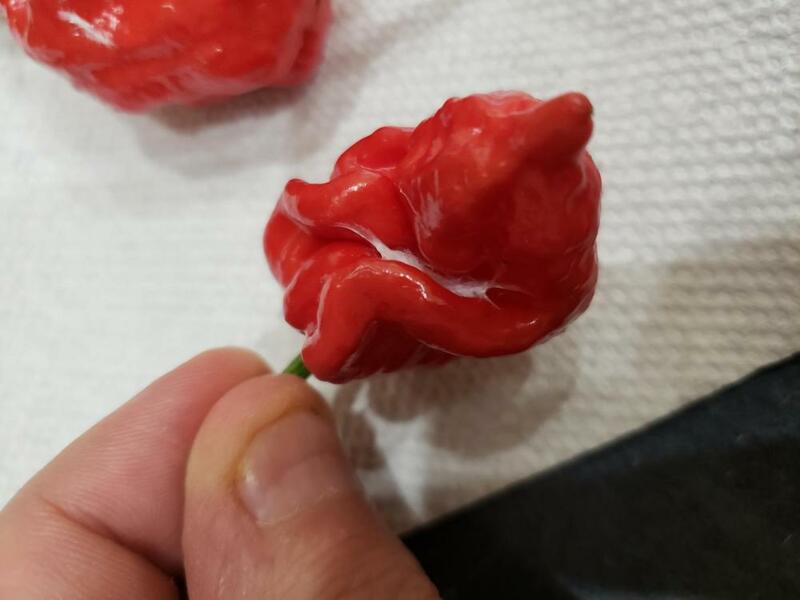 notice the pods with black are a darker red in your photos? they look over ripe and starting to rot. maybe they should have been harvested sooner? Spider webs like that are really common for me in the crevasses of peppers. But, like you, I couldn't swear to it that it's really spiders and not something else. But some kind of tiny spider makes sense to me. After I wash them in the sink, I brush off the webs with a paper towel. So far, I'm not dead yet.